Well, it is our second week of amphibians in our class and the "lily pad" tables worked like a charm. I wanted to keep that idea in mind as I planned for this week's lessons. We will be setting up the classroom tables with QR code stations, an art station, and a life cycle sheet. 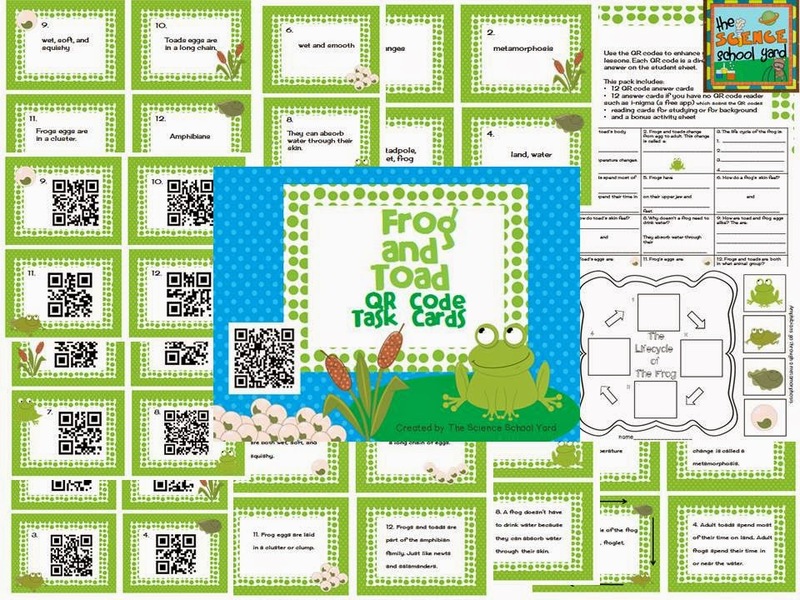 Here is the new QR code pack...Frog and Toad QR Code Task Cards Pack. Check out the kiddos in action!